Interdisciplinary researcher, Jane de Almeida works in the arts, film and new media fields, investigating the intersection among media, subjectivity and perception. As a professor and researcher, she was Visiting Scholar in the Department of Philosophy at Boston College (1999), Visiting Fellow in the Department of Architecture and History of Art at Harvard University (2005), guest researcher at MediaLabMadrid (2006), and Visiting Scholar in the Dept. of Communication at University of California, San Diego (2007). She holds a Master degree and a Ph.D. in Communication and Semiotics from the Catholic University of Sao Paulo. Currently, She has been teaching at Mackenzie University in São Paulo, Brazil and at the Visual Arts Department at University of California, San Diego. She is an independent curator and script writer, having written in collaboration with other writers a script for the documentary 500 souls about the identity of Brazilian natives, showed and awarded in many countries. She also wrote the script for a fictional film based on the legendary Brazilian film Limit from the 30's, considered the best Brazilian film (in the occasion of the one hundred years of cinema). This script, called The invention of Limit, was honored with the Hubert Bals Fund by the International Film Festival Rotterdam, yet it has not been filmed. As curator, De Almeida organized an exhibition about Bispo do Rosario's work called Ordering and vertigo, in which more than 120 artists participated, among them musicians, performers, photographers, and intellectuals lecturing about contemporary art, philosophy and subjectivity. For this exhibition she co-organized a comprehensive catalog. 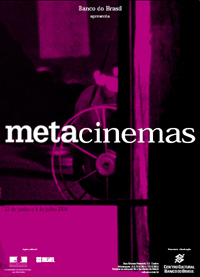 Following discussions about "form" and "film", she also curated the show Aisthesis: Cinema, with lectures by art and film experts. Afterwards, she decided to investigate the relation between new media and film in a showcase called Image's strategies, which also had a session of lectures. Pursuing the subject of politics in cinema, she curated the exhibitions Metacinemas, bringing out the debate about meta-language in film these days; the festival Dziga Vertov Group, showing all movies made by the so called "Dziga Vertov Group" led by Jean-Pierre Gorin and Jean-Luc Godard in the 60's and 70's. The exhibition was shown in Rio de Janeiro, São Paulo and Brasília and a catalog was released. She has been organizing a series of lectures called The politic of images at the Catholic University of São Paulo and the first lecturer invited was the German filmmaker Margarethe Von Trotta. 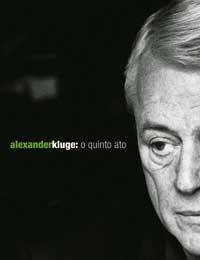 In 2007 and 2008 Jane de Almeida curated a film festival about the German filmmaker Alexander Kluge called "Alexander Kluge: the fifth act" in Sao Paulo, Rio de Janeiro, Porto Alegre and Brasilia. All of these events and productions were extensively covered and evaluated by important Brazilian newspapers and magazines. In the field of New Media, she organized seminars such as Technocreations at the Catholic University of São Paulo, along with the FILE (Electronic Language International Festival), where a catalog was published with articles written by the guests, Ted Nelson, George Landow and Paul Miller, and the foreword written by her, regarding the deconstruction of the computer technology and culture. She has been a member of the editorial and Scientific Board of FILE since 2005. She also organized a seminar about Digital Media called Aesthetic and New Technology. In 2008, she organized the first projection of 4k films in Brazil for cultural purposes at FILE and in 2009 she organized, along with Prof. Thoroh, the first transcontinental transmission of 4k films in Latin America among three points: São Paulo (Mackenzie), San Diego (UCSD) and Tokyo (DMC, Keio University).